Tomorrow is Memorial Day. For years now that day has become more associated with hot dogs, beer, and picnics than for what it was intended to commemorate. It is one day in our year when, as a country, we remember the men and women who paid the ultimate price so that we could have … hot dogs, beer, and picnics, wherever we please. And the freedom to move around, say whatever is on our minds, write whatever we choose to write –– without the fear that we’ll get thrown in a gulag or “disappeared” in some North Korean valley. We dare not treat these freedoms lightly. Set your alarm. We owe our honored dead at least one moment of reflection. Perhaps we might gather some family around and read the following, an excerpt from a letter written by Maj. Sullivan Ballou to his wife at the start of the Civil War. The entire letter may be found here. Ballou was a Rhode Island attorney who volunteered for the Union Army after the attack on Fort Sumter. I offer it here because, as writers, we can appreciate the beautiful turn of phrase in a personal letter of that era. Thank goodness email and Twitter did not exist in the nineteenth century. Our movement may be one of a few days duration and full of pleasure and it may be one of severe conflict and death to me. Not my will, but thine, O God be done. If it is necessary that I should fall on the battle-field for any country, I am ready. I have no misgivings about, or lack of confidence in, the cause in which I am engaged, and my courage does not halt or falter. I know how strongly American civilization now leans upon the triumph of government, and how great a debt we owe to those who went before us through the blood and suffering of the Revolution, and I am willing, perfectly willing to lay down all my joys in this life to help maintain this government, and to pay that debt. I know I have but few claims upon Divine Providence, but something whispers to me, perhaps it is the wafted prayer of my little Edgar, that I shall return to my loved ones unharmed. If I do not, my dear Sarah, never forget how much I love you, nor that, when my last breath escapes me on the battle-field, it will whisper your name. Forgive my many faults, and the many pains I have caused you. How thoughtless, how foolish I have oftentimes been! How gladly would I wash out with my tears, every little spot upon your happiness, and struggle with all the misfortune of this world, to shield you and my children from harm. But I cannot, I must watch you from the spirit land and hover near you, while you buffet the storms with your precious little freight, and wait with sad patience till we meet to part no more. But, O Sarah, if the dead can come back to this earth, and flit unseen around those they loved, I shall always be near you in the garish day, and the darkest night amidst your happiest scenes and gloomiest hours always, always, and, if the soft breeze fans your cheek, it shall be my breath; or the cool air cools your throbbing temples, it shall be my spirit passing by. Sarah, do not mourn me dear; think I am gone, and wait for me, for we shall meet again. 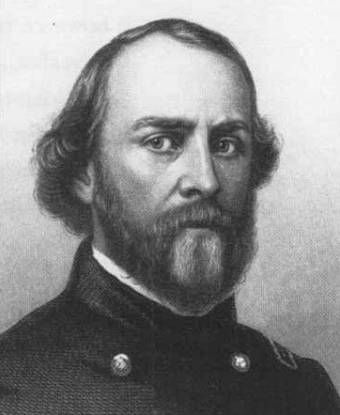 Sullivan Ballou died one week later at The Battle of Bull Run. For all who surrendered their lives so we might enjoy the blessings of liberty, requiescat in pace. Rest in peace. This entry was posted in Memorial Day by James Scott Bell. Bookmark the permalink. Nothing to say but ditto. It’s rare that writing moves me to tears. Thanks for sharing that letter with us. I just finished reading a book by Jojo Moyes. It was a love story that explores the right to die (http://www.irishtimes.com/life-and-style/people/it-s-an-impossible-conundrum-jojo-moyes-on-the-right-to-die-1.2657691), and it also brought me to tears. I consider that a good thing. I love writing that makes me feel something. I’ll be setting my alarm for three o’clock today. How beautiful and moving! Thank you. Thank you for this. Too many forget so easily. Thank you for the reminder and sharing that moving letter. I hope you have a good remainder of the weekend and a Memorial Day full of appreciation for those who have sacrificed so that we may enjoy freedom. Wow. So beautiful, so powerful, and so, so moving. Thanks for sharing, Jim. Elegant and heartfelt prose. Loved it. Thanks for sharing. Being southern by half of my genealogy, and all of my upbringing, I was, of course, predisposed to be outraged by Ken Burns’s documentary, _THE CIVIL WAR_, and while some things did raise my ancestral ire, this letter, read aloud to appropriate images, set the stage (and the Kleenex box), for some pretty moving and inspiring moments. Thank you, Sir, yet again. We do forget. Thank you for this touching reminder. I hope we can be worthy of these sacrifices. Lovely letter and reminder. Another thing I had never really thought about — how do all those flags get placed in Arlington Cemetery every year? Of course…. Before my Kiowa ancestors went to battle, if they would have time the night before, they would sing their songs. This letter is as lovely as those would be. Thank you Jim for the reminder that freedom is never free. For those of us who have a friend or family member who paid the ultimate sacrifice, this moving letter is a perfect example of selfless sacrifice, of seeing beyond the present to something much greater for those who follow. I live in Israel and have been an Israeli citizen for almost five years. On Memorial Day, there is a siren at the same time over the whole country that sounds for one minute. Everybody stops what they are doing, even if they are driving, and stand up to honor our fallen soldiers in silence. It is very touching.